"Move Right In, Mid-Block Location"
Move right in, 4 bd. 2 full bth. 1277 sq. ft. 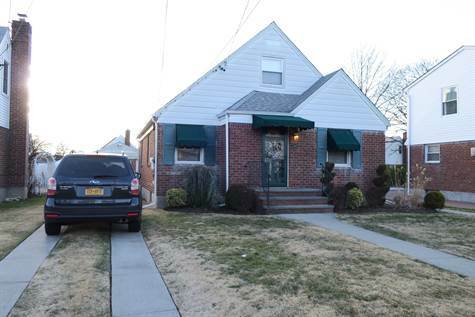 Updated Cape, located mid-block in the Lawn Section, Near all Transportation and Schools, New Gas Heat, Hardwood Flrs. New Bathroom, Newer Roof, New Doors and Gutters, 1.5 Det. Garage, Full Bsmnt partially finished. Taxes are $7240 with the Village tax. Taxes do not reflect star savings of $1104.